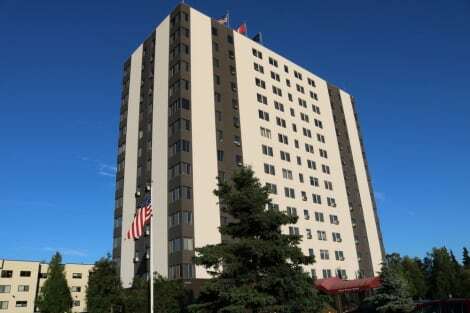 Creekwood Inn is located in Anchorage, within 2.2 km of Sullivan Arena and 3.7 km of Dena ina Civic Convention Center. 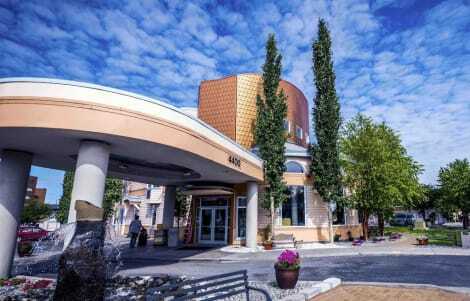 Located around 3.9 km from William A Egan Civic & Convention Center, the motel is also 12 km away from The Alaska Zoo. Local points of interest like Anchorage Museum and Alaska Center for the Performing Arts are reachable within 3.6 km and 4.2 km, respectively. All units in the motel are equipped with a flat-screen TV with cable channels. The private bathroom is fitted with a bath and free toiletries. The units will provide guests with a microwave. Creekwood Inn offers a barbecue. Guests will find a 24-hour front desk, a shared lounge and a business centre at the property. Alaska Native Heritage Center is 12 km from the accommodation, while Ben Boeke Ice Arena is 1.7 km from the property. The nearest airport is Ted Stevens Anchorage International Airport, 10 km from Creekwood Inn. Featured amenities include a business center, express check-in, and express check-out. Planning an event in Anchorage? This hotel features 1134 square feet (105 square meters) of event facilities. A roundtrip airport shuttle is complimentary (available 24 hours). Featured amenities include wired Internet access (surcharge), laundry facilities, and a vending machine. Free self parking is available onsite. With a stay at Motel 6 Anchorage - Midtown in Anchorage (Midtown Anchorage), you'll be within a 10-minute drive of University of Alaska - Anchorage and Alaska Airlines Center. This motel is 6.6 mi (10.6 km) from Alaska Zoo and 0.7 mi (1 km) from Campbell Creek Greenbelt Park. Grab a bite to eat at Solstice Bar and Grill, a restaurant which features a bar, or stay in and take advantage of the room service (during limited hours). Cooked-to-order breakfasts are available daily from 6:30 AM to 11:30 AM for a fee. lastminute.com has a fantastic range of hotels in Anchorage, with everything from cheap hotels to luxurious five star accommodation available. 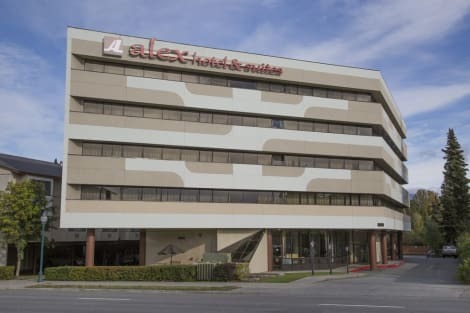 We like to live up to our last minute name so remember you can book any one of our excellent Anchorage hotels up until midnight and stay the same night.